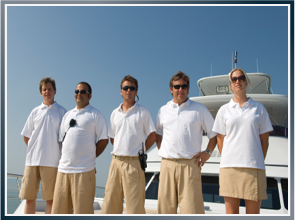 Injured Working on a Yacht, Sailboat or Private Vessel? When someone gets hurt on a private vessel, the law considers them one of two classes – paid employees or guests and passengers. You are a private vessel employee if you have entered into an agreement whether oral or written, to work for a salary or wage aboard a private vessel, which include yachts, cruise ships, sailboats and chartered boats. While living and working on these personal sailboats and yachts can be an exciting job, employees injured on private vessels need to know that they have much of the same rights to recover compensation as employees working on commercial ships. Crews of motorized yachts, chartered boats and sailing boats may be able to sue the vessel owners and their employers for negligence or unseaworthiness. With more than 50 years of maritime law experience, our attorneys have gone up against a wide range of companies in the fishing industry and have represented nearly every type of worker out on the sea. Can I File a Claim If I Have an Employment Agreement or Contract? When injured as a private vessel employee, the first step to take is determine whether there is any employment agreement or contract that governs the terms of your employment and possible may control your rights if you are injured. If you have a signed employment agreement, it is important that you contact a maritime attorney to review the agreement and explain your rights.. The next step is to determine whether whether you are considered a seaman under the Jones Act. Does the Jones Act Apply to Crew Member Injury on a Private Vessel? Under the Jones Act, your employer is responsible for providing a safe working environment, proper training and equipment free of defects. When employers or private vessel owners fail to do this, injured employees may be able to pursue Jones Act claims. The vessel owner is also responsible to provide a vessel that is seaworthy. Under general maritime law, a vessel a vessel is unseaworthy if the vessel, its equipment and appurtenances are not reasonable fit for its intended purpose. An example of an unseaworthy piece of equipment is a mooring line breaking and injuring an employee. If negligence or unseaworthiness is proven, damages available are for past and future lost wages, past and future pain and suffering and mental anguish, physical disfigurement and/or future medical cost. The statute of limitations generally gives three years from the date of the injury to bring a claim. Since there are exceptions to the rule, it is important to meet with a maritime injury attorney at an experienced law firm about how to file a claim as soon as possible. This protects your right to receive the most compensation available under the law. By seeking legal help quickly, evidence can be gathered and preserved, accident witnesses have what happened fresh in their mind and nothing that benefits your claim will be lost to time. Can I Get Maintenance and Cure as a Private Vessel Employee? A seaman is entitled to maintenance and cure benefits from their employers when injured during the course of employment without regard to fault. A seaman includes all individuals (except scientific personnel, sailing school instructors or sailing school students) engaged or employed in any capacity aboard a vessel, which includes yacht crew members, cruise ship crew members and employees working on private vessels as chefs and stewards. Employers under general maritime law are obligated to pay maintenance and cure until a seaman is until they have reached a point where additional medical treatment will not help them, also known as MMI or Maximum Medical Improvement. While many employers will follow the law and pay these benefits, some injured employees may not receive the proper amount of maintenance and cure following workplace injuries. When this happens, maritime workers have the right to talk with a maritime attorney to learn if their employer or insurer is trying to avoid paying what they should be paying. Our attorneys understand that injuries aboard private vessels can create complex cases, from not wanting to file a claim against your employer to figuring out which laws apply to your specific case. What is not difficult is speaking with an experienced Jones Act attorney at our firm. In fact, scheduling a no-charge attorney consultation is simple and free. Call (800) 392-6072 today. Know that meeting with us does not mean you have to move forward with filing anything right now. We can just discuss the facts of your case, gather essential information and talk about what remedies may be available to you and your family. This ensures that when you decide you are ready, we can immediately get started taking the steps to make sure that you are properly compensated for what you are going through. Gaining compensation can also make sure that you and your family have the financial security you may have lost because of the maritime accident. Call us today. We serve clients from coast to coast.